“Drums Along the Mohawk” Overnight Motorcoach Excursion ~ The History Girl! Returns on 8/10/14 at 6:00 pm. 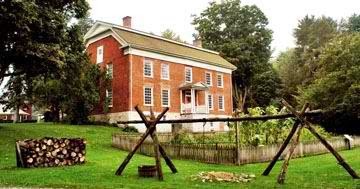 Join us on our overnight upstate New York bus tour and travel back in time to the year 1777 and our American Revolution! Our luxury coach, equipped with lavatory, microphone, and DVD, will take us to Albany and west to the Mohawk Valley. With our on-board guide for the two days, we will see approximately 12 eighteenth century sites, and have guided tours at approximately 6 of them. 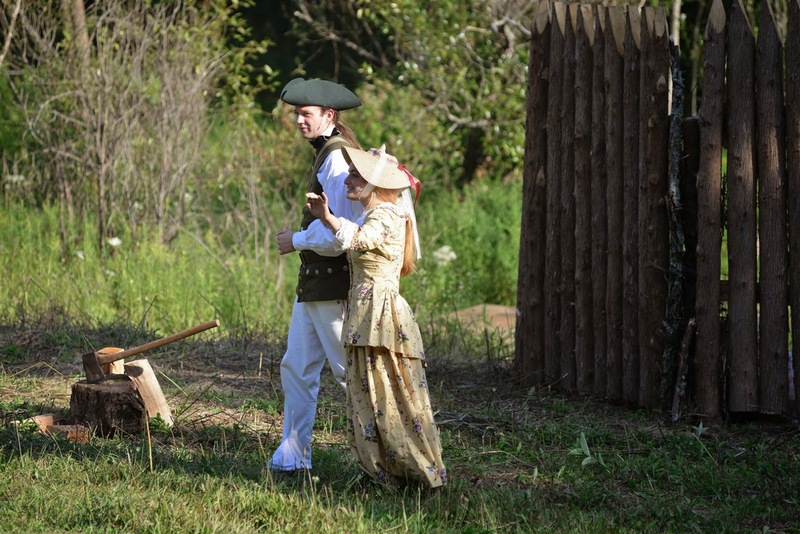 A Saturday highlight will be the 5:00 pm performance of "Drums Along the Mohawk Outdoor Drama” by Walter D. Edmonds. This vivid adaptation of the beloved historical novel tells the story of a newlywed couple thrust into the brutal conflict of the American Revolution during 1777 (please pack a folding lawn chair; as chairs are NOT provided at the performance). Tour stops have been hand-picked to enhance your "Drums Along the Mohawk" experience: Benedict Arnold began his rescue of the endangered Mohawk Valley residents at the Van Schaick Mansion; we’ll also tour the elegant Georgian style mansion home of the hero of the drama, General Nicholas Herkimer (a complete listing of tour sights and stops will be posted on the HSRC website www.rocklandhistory.org in May). This trip is approved by the e4™ travel brand: it will Entertain, be Educational, Environmentally appropriate, and will include light walking Exercise. This is an "attraction dense" trip; guests will bring their own bag lunch to eat Saturday during the hour plus drive between Albany and Little Falls. The tour is expected to sell out quickly; so don't delay! Limited to 28-40 participants, dependent on room occupancy. Register as single or double occupancy. * Trip Price includes overnight accommodations, attraction admissions, and gratuities. * All meals are included except Saturday lunch. *Meals will include: Pot Roast dinner before the Saturday performance, a hotel snack after the performance, Sunday breakfast, Sunday lunch, and an on board snack bag and water each day, on the bus. *Please bring your own bag lunch for Saturday. The West Nyack Commuter Parking Lot is located on Rt. 303 Northbound, immediately north of the intersection with Rt. 59. Cars may be parked overnight (we have town permission), or you may be dropped off and picked up there. Directions: From Rt. 59E, turn right on the ramp for Rt. 303S, turn right onto Rt. 303, go under the Rt. 59 overpass, and turn right into the commuter lot. After registration, participants will be provided with a full itinerary and further information. FOR RESERVATIONS PLEASE COMPLETE THIS FORM AND RETURN WITH PAYMENT BY JUNE 30, 2014. Please note: Refunds will only be given if space can be filled by another guest prior to trip. A waiting list will be compiled and available spaces filled on a first come, first served basis. Only those with full payment will be accommodated.